Driving Lesson in the following areas of Leeds ! With so many driving schools in Leeds, it may be difficult to find a driving instructor. Take your lesson from a professional and fully qualified ADI driving instructors, approved to DSA standard. Our driving school in leeds has a wide range of driving lessons which will be tailored to your needs to prepare you fully for taking the driving test in Leeds the area. cording to British Law, you can learn at 17. Then you can contact a driving school for driving lessons. 1. When your young its easier to learn to drive, young people, whether male or female learners, have more drive and passion for learning to drive. The younger you are , the quicker it is gererally to learn, and therefore you can pass your test FASTER. 2. At 17, its cheaper to learn for a number of reason. 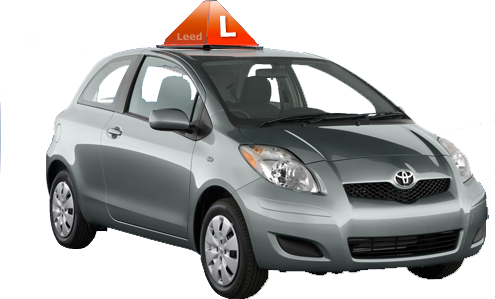 For One you have fewer outgoings like uni college fees or rent to pay etc, therefore you can concentrate on driving lessons. Two Inflation always means that prices usually rise every year, so the earlier you start the lower the per hour rate will be. Three the younger you are, the quicker you will learn and faster you will pass, hence few lessons needed when young. 3. When you young you are more likely to recieve money contributions towards your driving lessons from your parents, grand parents, and brother and sisters etc. 4. learning is a skill, have a full UK driving license can contribute to enhanced job opportunies and a more flecibale lifestyle. A driving license is a lice to excel and thrill. 5. Insurance costs are likely to come down, the longer you have a driving license. The longer you drive, the more no claim bonus you are likely to build over the years, which will result in lower monthly costs.